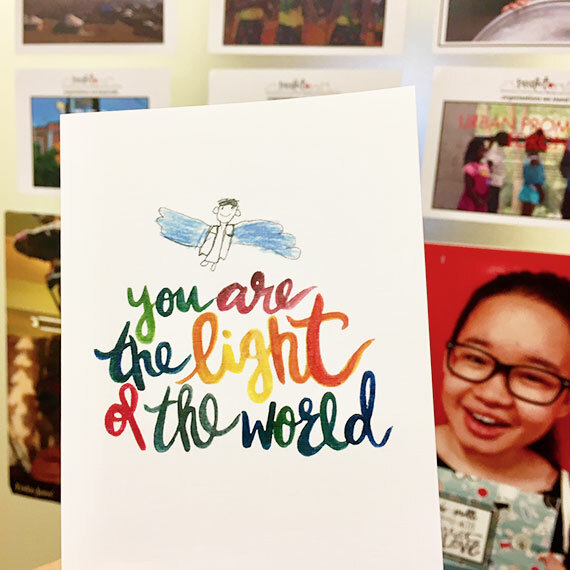 Barefoot Love Co is a social enterprise that engages corporations, schools, NGOs and artists by creating custom cards and service learning experiences (Spread the Love workshops) to make a difference through the arts. We seek to address inequalities in society and provide a platform for all voices to be expressed through the arts. Our mission is to commit 100% of our profits from our locally-produced custom cards and prints to people in need by partnering with small front-line charities around the world. Barefoot Love also offers Spread the Love workshops at private events, teaching the public about creativity, calligraphy card design, and social justice. The profits from these workshops go directly into sponsoring expressive arts workshops that empower people living in vulnerable situations. Whether you love our beautiful calligraphy designs, interested in our Spread the Love workshops or need some custom cards for a special event, you can be part of our vision. Our products and workshops are custom-designed & made uniquely for you. 100% of our profits go to those in need by supporting small grass-roots charities and non-profits. Our Spread the Love workshops and creative platform shares stories of hope in light of social injustices.